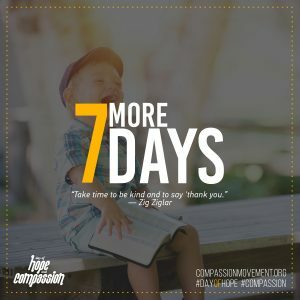 -Do something nice for someone who can never repay you. 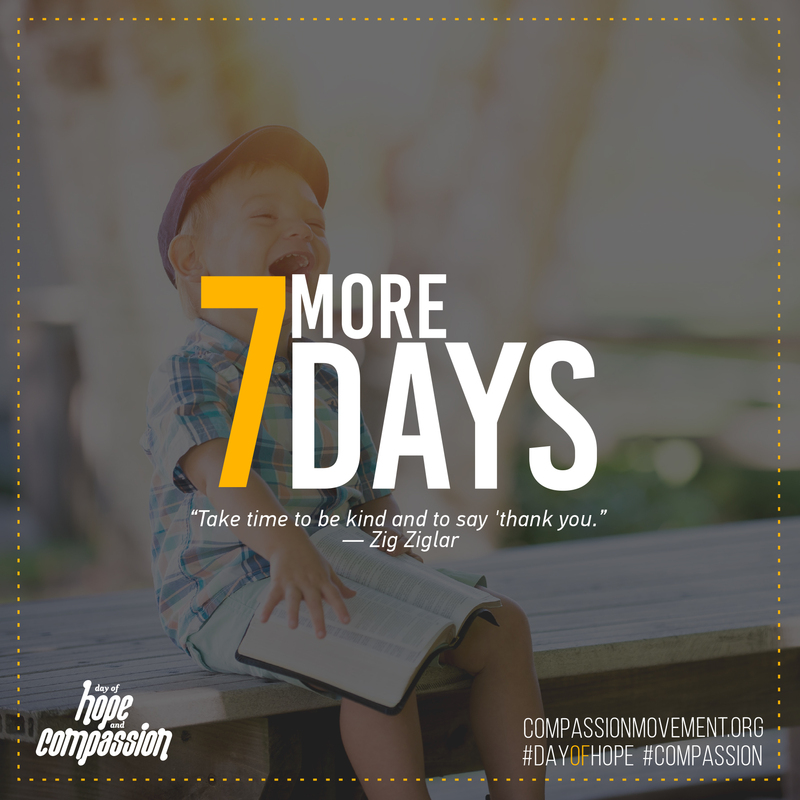 You will enjoy it and so will they. 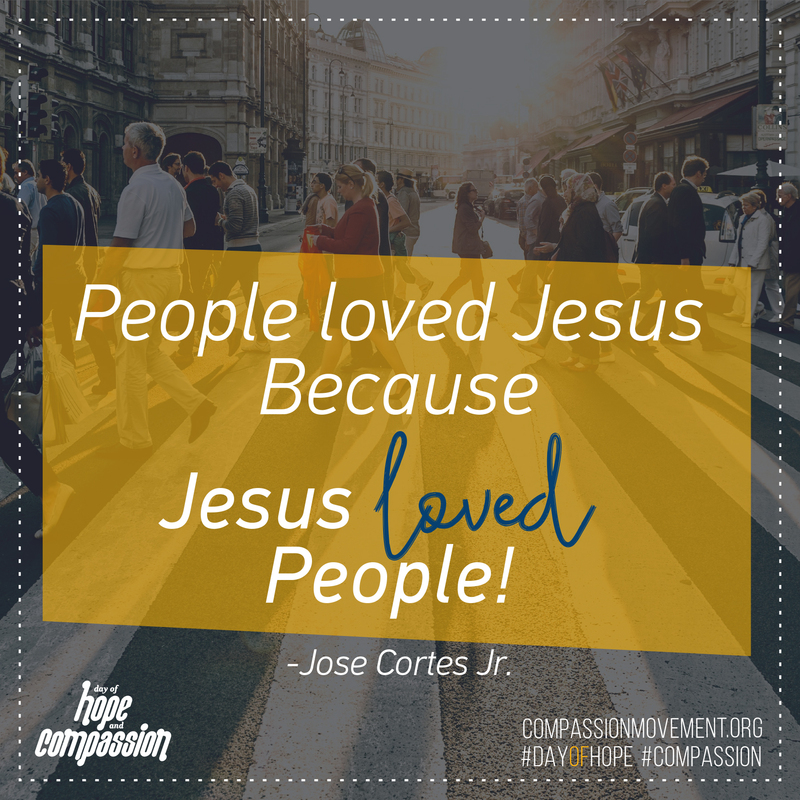 People loved Jesus because Jesus loved people! 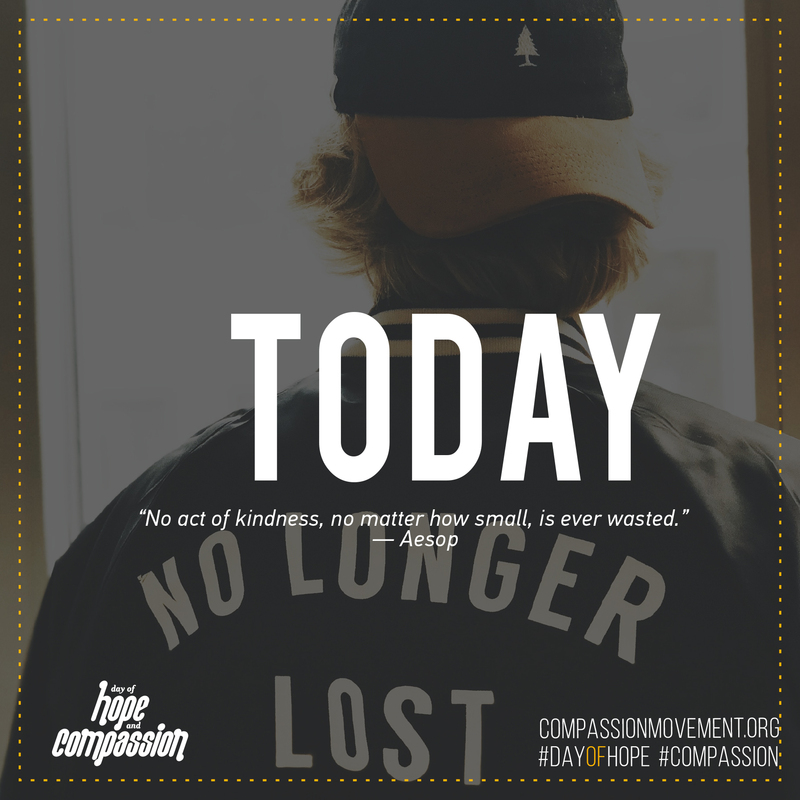 -Share Jesus with every act of Compassion. 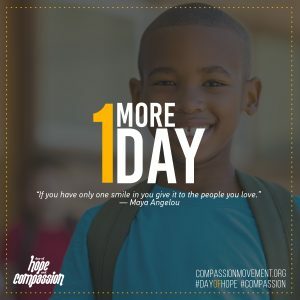 Join the North American Division as we celebrate Day of Hope and Compassion. 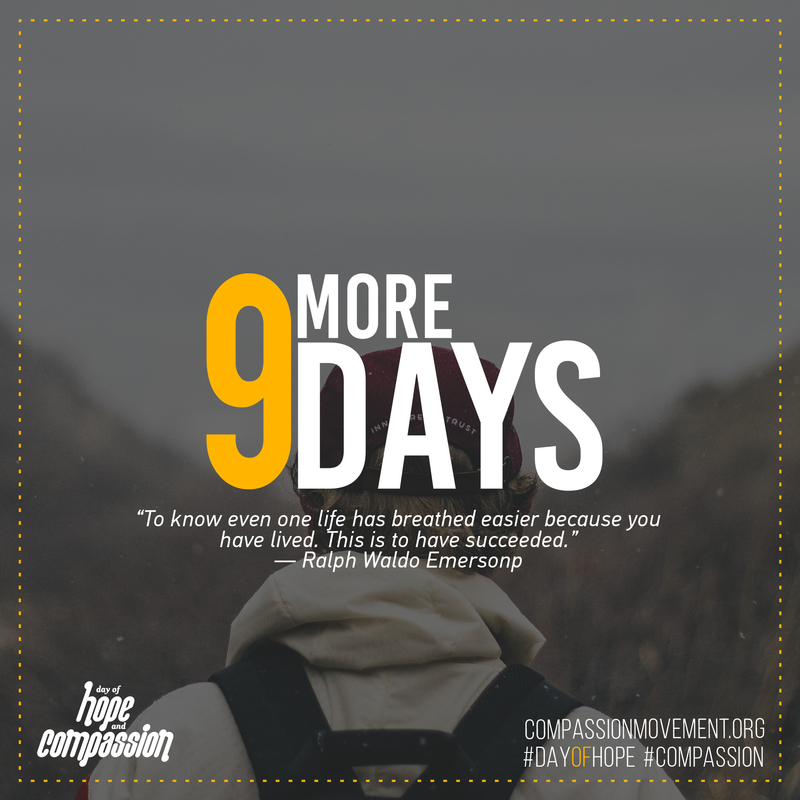 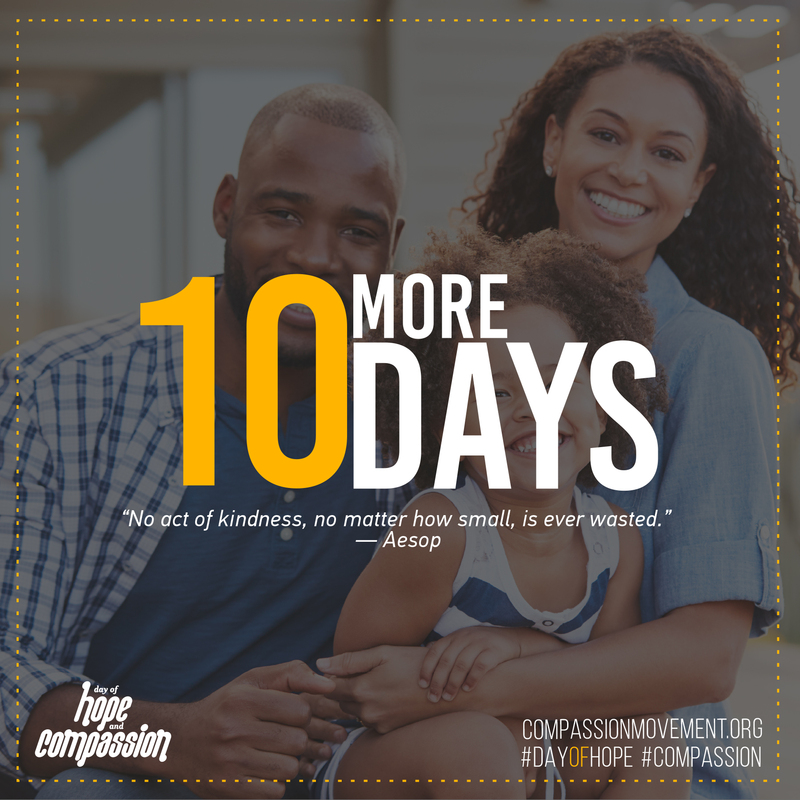 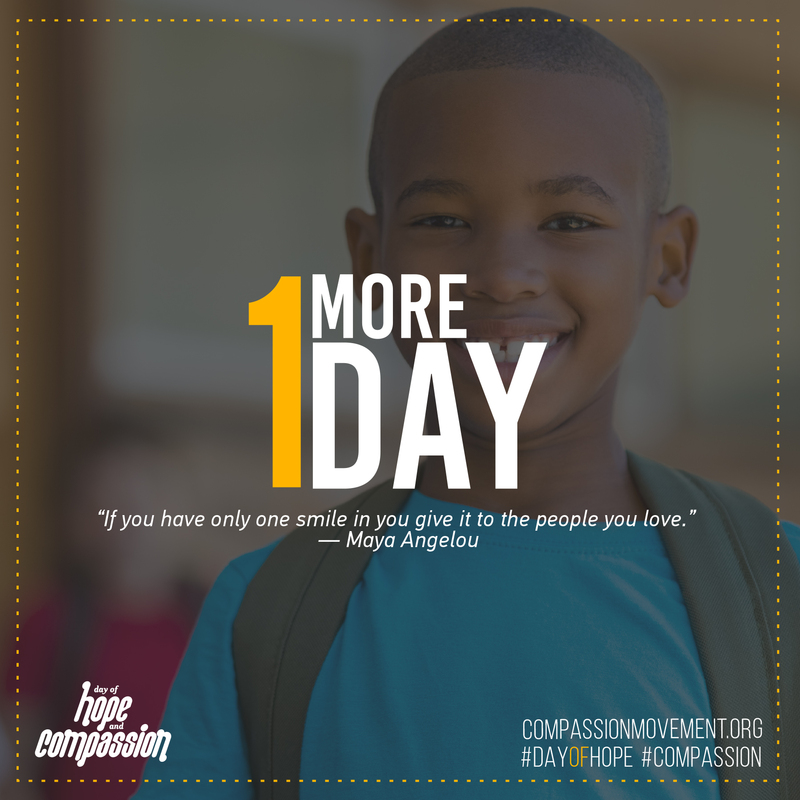 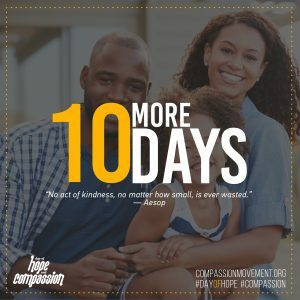 1 day left before the North American Division Day of Hope and Compassion. 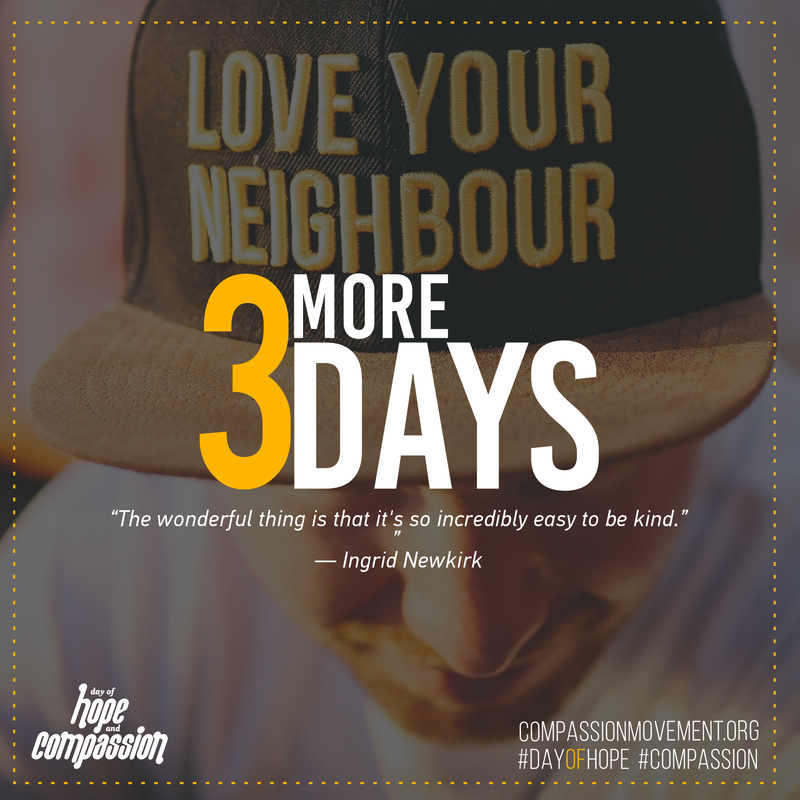 What is the greatest need in your neighborhood? How do you plan to meet the need? Have you decided how you will show Compassion during the Day of Hope and Compassion on April 21st? 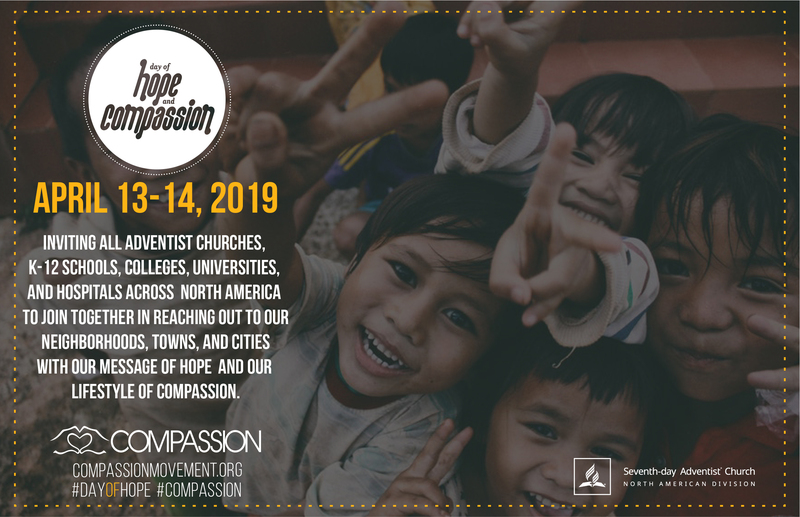 In 3 days Adventist Churches, Elementary Schools, Academies, Colleges, Universities, and Hospitals across our Division will join together to impact neighborhoods all over. 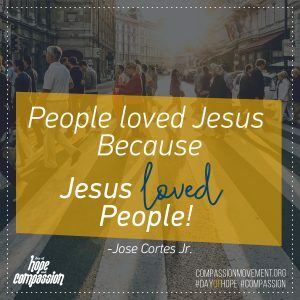 Jesus always met the people where they had a need. Where will you meet those that have a need on April 13? 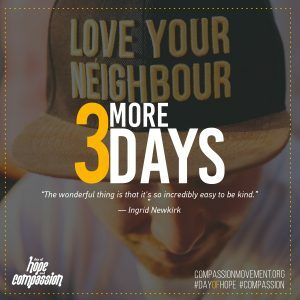 What would Jesus do if He lived in your neighborhood to help those in need? 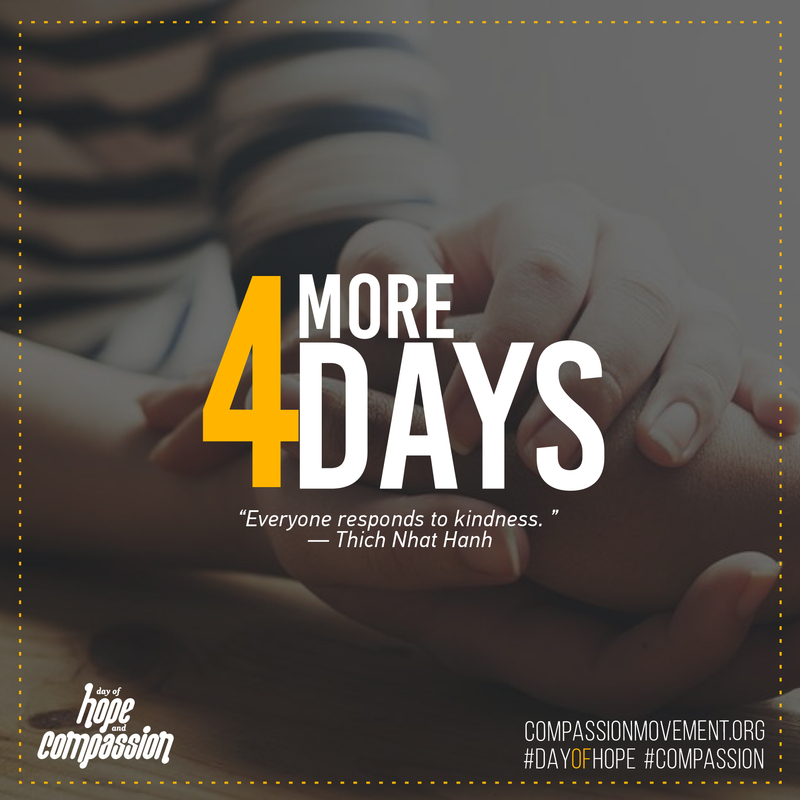 Be like Jesus help up celebrate a Day of Hope and Compassion April 13. 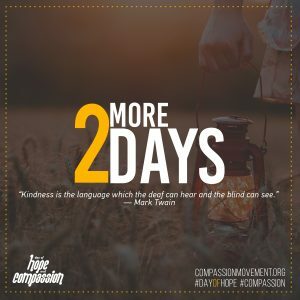 Compassion is a language everyone can appreciate. 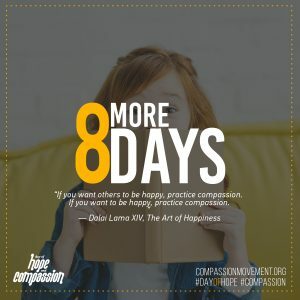 Need an extra reason to show Compassion? 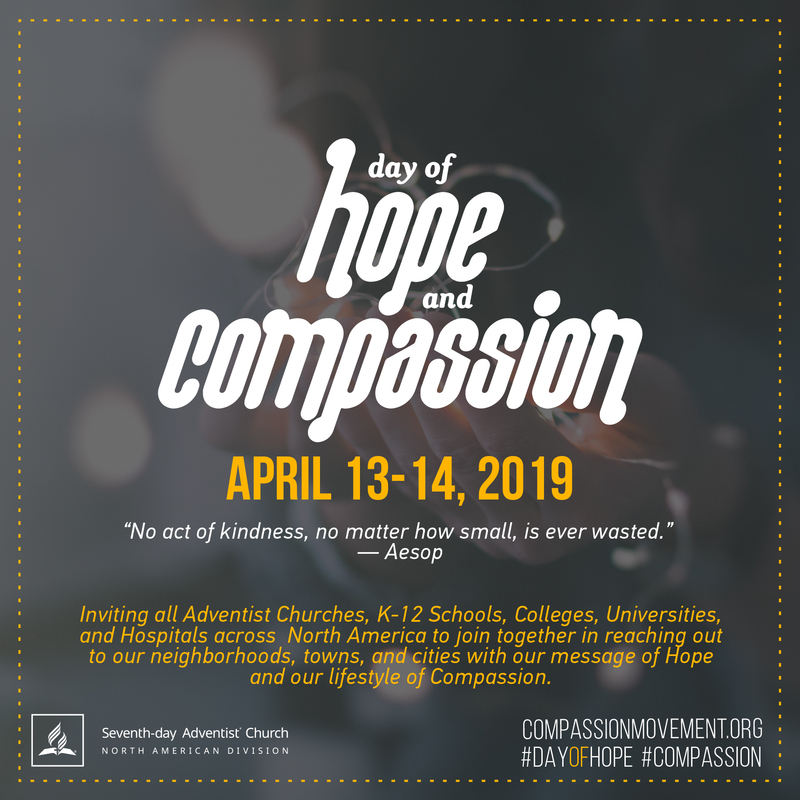 Join us on April 13 at a neighborhood near you for the North American Division Day of Hope and Compassion. 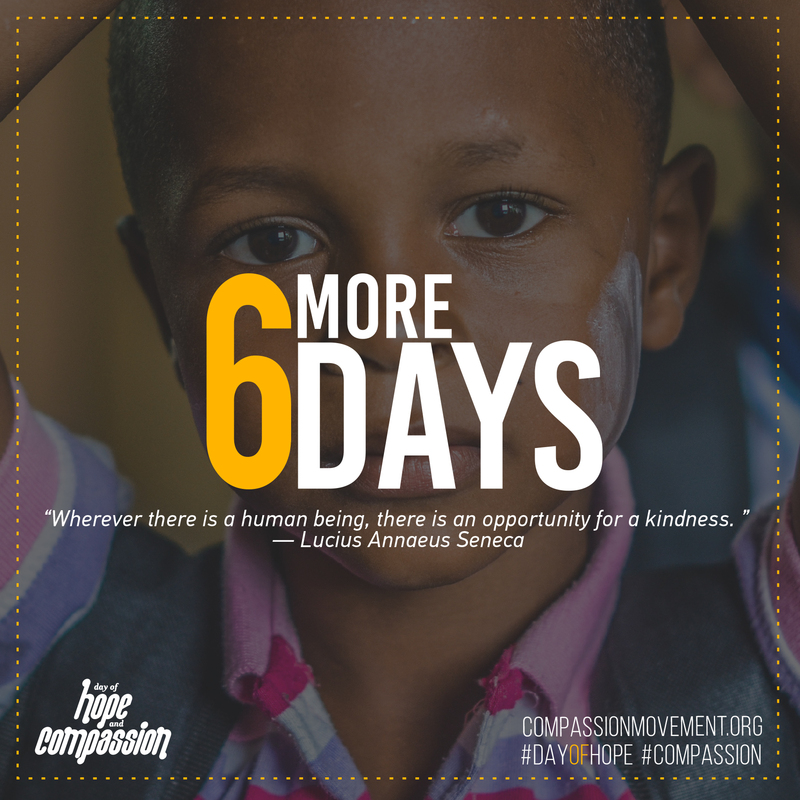 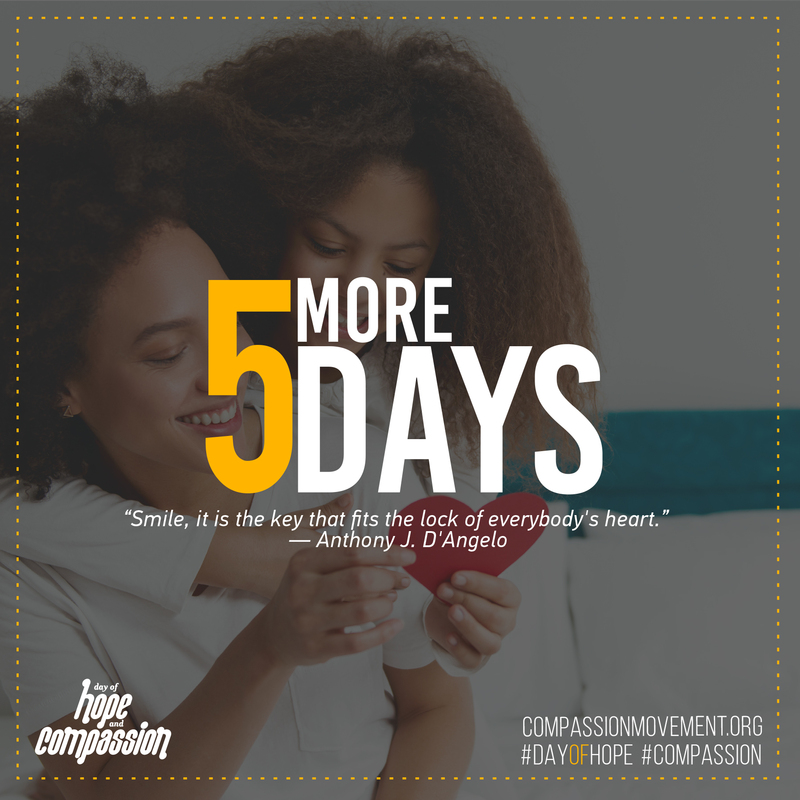 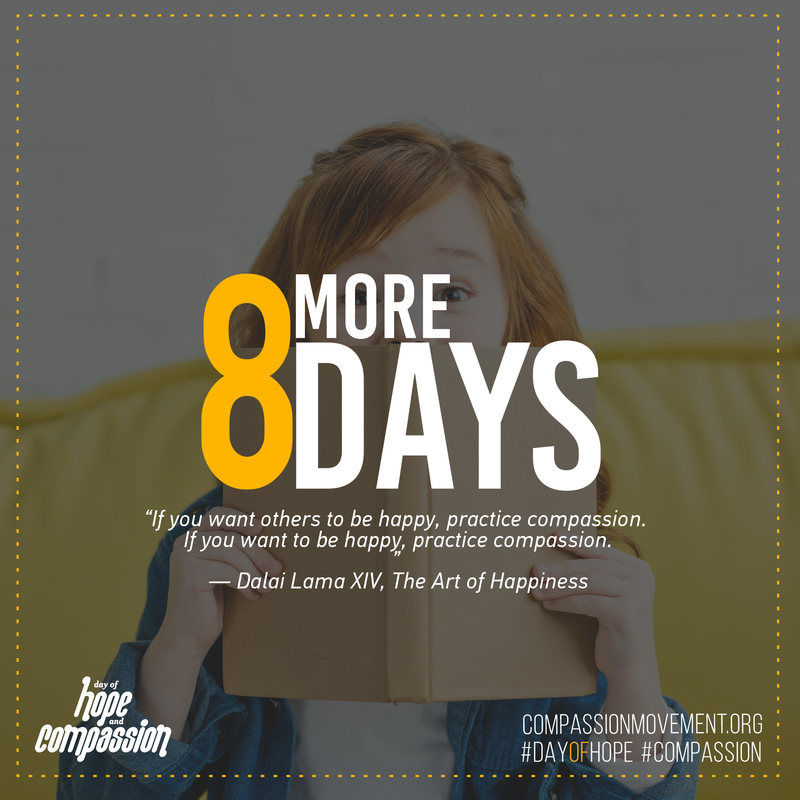 Only 7 days left until the North American Division celebrates Day of Hope and Compassion are you ready? 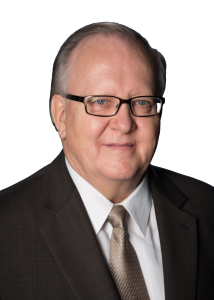 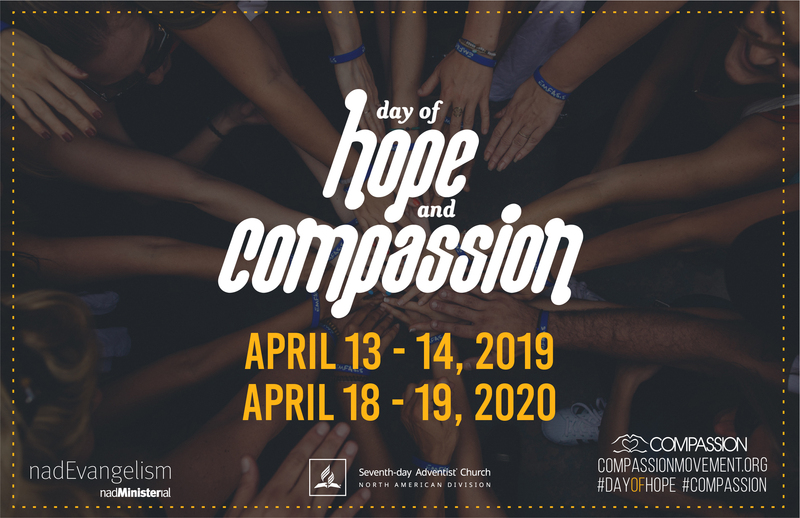 Hundreds of thousands of Adventists in North America will engage their neighbors and surrounding communities showing the love of God and the compassion of Jesus in practical ways. How are you showing the love of Jesus in your community? 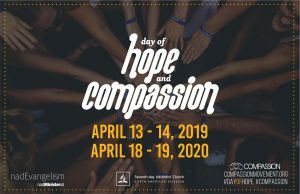 Join us on April 13 for the day of hope and compassion. 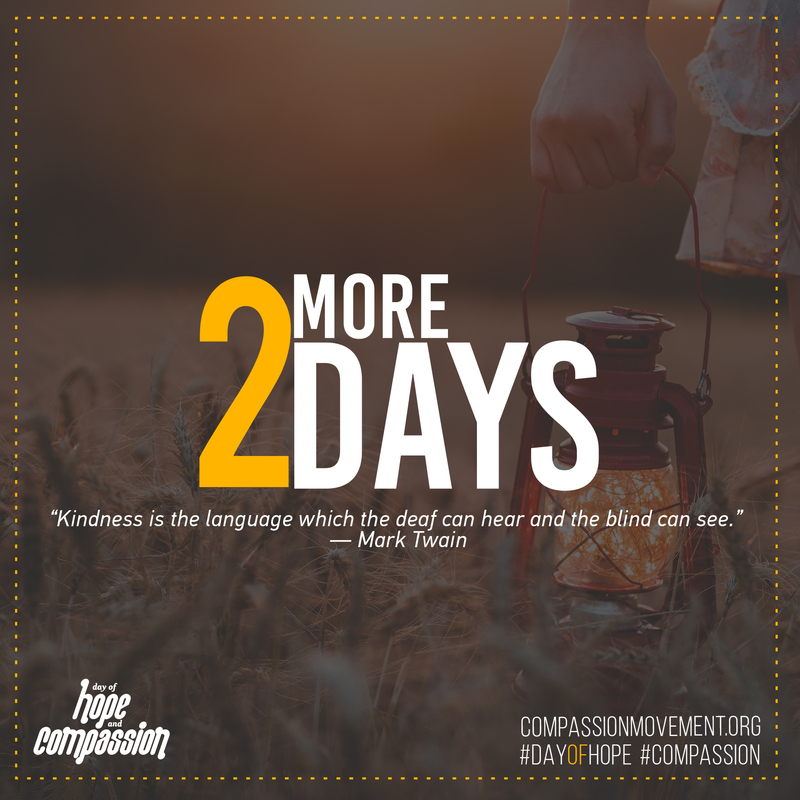 Not only with words but with actions we are getting ready to be the hands and feet of Jesus across North America. 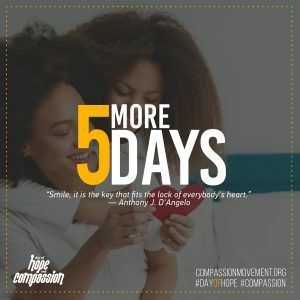 Invitation to participate in the Day of Hope and Compassion. North American Division Day of Hope and Compassion on April 13-14, 2019.